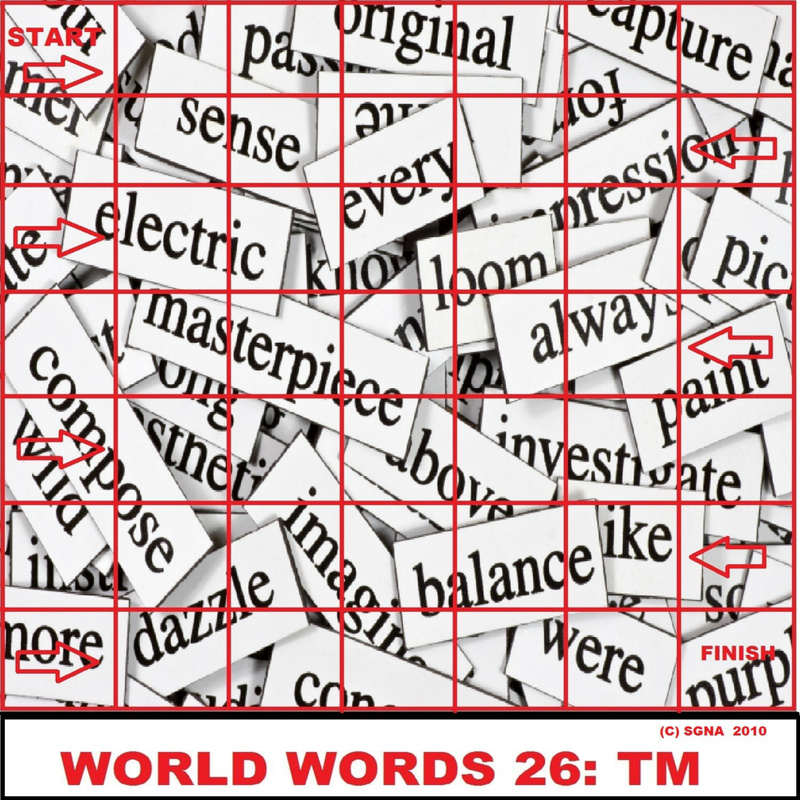 World Words 26:TM Coming Soon! 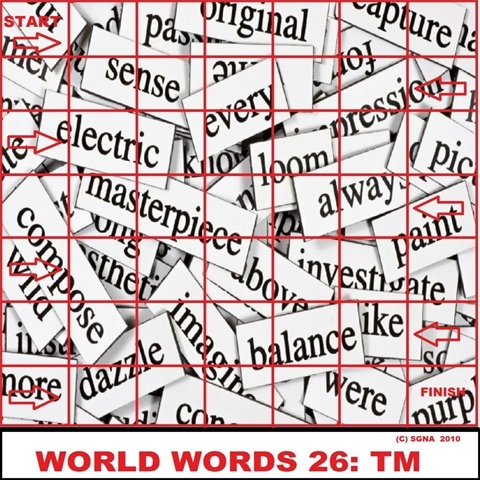 World Words 26:tm is a word spelling board game. World Words 26 is played by 2 to 8 people. Ages to play 8 to Adult. World Words 26, is played with a One minute timer. World Words 26, has 6 tokens , all different colors. World Words 26, is played with 6 pencils and a few sheets of plain paper. Place the board on a table. First player to roll a vowel on the red dice gets to make the first play and then play is to the right. Each player is given a colored toke to represent him on the game board. Each player is given a pencil and plain paper to spell words on, during the game. Then each player places his token on the start square. The first player to start the game, rolls the red and the blue dice, and say the letters “P” and “A” roll up. One of the other players starts the one minute timer. The player then has one minute to think of three words, the first word must have a “P” and an “A” in it and the “P” and “A” can be anywhere in the word; and this is worth one point. In the second word the “P” and the “A” must be together in that order, and this is worth one point. In the third word the “A” and the “P” must be together in that order, and this is worth one point. All three words must be different. All three words must be spelt properly. If there is a question about a word, then a dictionary may be used to clarify it. With each point that a player gets, he may move his token one square. An Example of words for “P” and “A” are “Partnership”, “Apollo” and “Paper”. After the first player moves his token, it is the next player turn to roll the dice. If a players token lands on a square with instructions on it, then the player follows the instructions. The first player to land on the finish square by following the rules wins the game.